Commercial trucking is everywhere in America and a vital part of the country’s economy. But when one of these vehicles is in an accident, one of the primary concerns is who is liable for making the injured parties whole again. Holding the correct party responsible for the damage is of the utmost importance to recover from the incident and acquire all necessary compensation. Here are a few things you need to know if you or someone you know is injured in a truck accident. Trucking accidents often involve many different and, at least one company or agency, depending on what type of trucker drives the vehicle. Sometimes an 18-wheeler or other commercial truck is owned by a company, and the driver of that vehicle is an employee of that company. In other instances, the driver may be an independent contractor who is not attached to a company or agency. This can help determine whether the hiring company or the truck driver himself will be liable for any damages. Finding an experienced personal injury attorney in your area can investigate the connections and help you determine who is at fault. After a trucking accident, it is important to consult an attorney who has experience in how to determine liability and what evidence to gather on your behalf. Many parties and insurance companies can be involved, so be sure to have an expert on your side. There are any number of parties that can be responsible when an accident involving commercial trucks occurs. 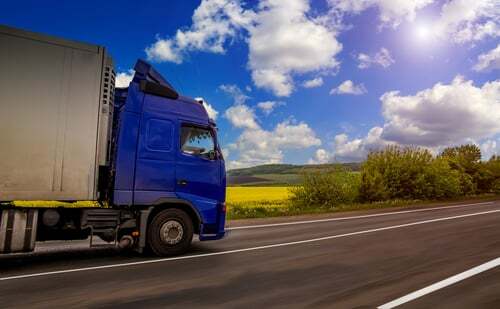 The big rig or other commercial vehicle is made by an auto-manufacturer, and these trucks might have a defect in their engines or other machinery that could be the cause of the accident. In addition, commercial trucks often have straps, pulleys, and other devices to hold cargo in place. The agency that hires the trucker may not perform inspections correctly, leading to malfunctions and accidents. If the agency cuts corners with these inspections or improper equipment, the employer or company may be held liable in the accident. Then, there are third parties that could have some connection to the collision. Lastly, the operator of the truck can be held liable for the accident. There’s a reason that a truck driver needs a special license (a Commercial Driver’s License, or CDL) to operate big commercial vehicles. The size of the vehicles and the long hours behind the wheel means that a trucker needs to take special care when driving. If a truck driver breaks the law when operating the vehicle, is on drugs or alcohol while behind the wheel, or is driving drowsy, there is a higher likelihood that an accident could happen. Most often, it is driver error that causes trucking accidents. Sometimes, it is the company that hires a trucker that is the responsible party in an accident. Proving this can be difficult unless an expert or the lawyer is able to uncover specific evidence. This may include an inspection that is incomplete (or not done at all) and the company cutting safety corners. Sometimes, a company tries to enforce unrealistic expectations on drivers to meet deadlines, causing them to rush or skip sleep to meet those deadlines. Many investigations demonstrate that the trucking company and a manufacturer share liability in an incident due to faulty equipment and cutting corners to increase speed. An expert witness and the lawyer may uncover these elements during an investigation into the company after an accident. If the trucking company does not own the truck but uses it and provides the vehicle for a trucker, that specific company may hold some liability. The owner may have a responsibility in keeping inspections up to date, checking the engine, checking tires and other important parts of the vehicle. The individual or company that owns the truck must obey federal regulations that govern the inspection and maintenance of these trucks. Without following these steps as the federal government specifies, the owner may become liable for damages. Some accidents involve cargo coming unattached or falling off of the truck. If the loader did not fully inspect the cargo and secure it properly, the loader may become liable when the boxes or equipment falls off and damages another vehicle or causes injury. Did you or a loved one sustain serious injuries due to a trucking accident in Florida? Don’t let the medical bills pile up while you wait for the negligent party or their insurance company to do the right thing. Right now, you need an aggressive personal injury attorney on your side, fighting to get you the compensation you need, want, and deserve. The skilled attorneys at Lawlor, White & Murphey represent clients injured in trucking accidents in Pompano Beach, Venice, Coconut Creek, Plantation all throughout Florida. Our toll free number is 855-347-5475, and our local number is 954-525-2345. You can also fill out our online contact form to schedule a free consultation about your case. Our main office is located at 2211 Davie Blvd, Fort Lauderdale, FL 33312.